Following leaving IBM, William rapidly took his work in a commercial direction, and having set up a small development studio in Soho London produced Organic Art PC. The product included an interactive UI and screen saver mode so that the graphics would be automatically generated on the PC Screen continuously on an IBM PC 386 or 486. 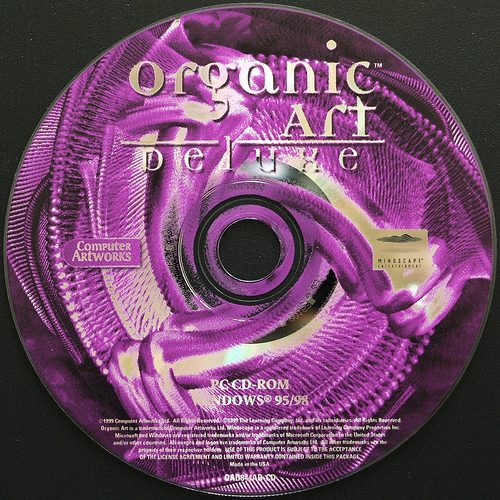 Developed by William and a small team of game programmers this innovative PC product, took the core artistic ideas from the IBM work and turned them into a mass market product, published initially by Warner Interactive, then Mattel and the Learning company with Microsoft commissioning versions for inclusion in Windows 95, and Windows 98 Plus Pack. It sold over several million units across the globe.